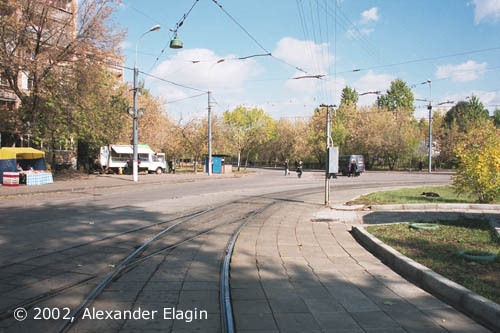 This loop is a terminus of the line along the former Nagatinskoye Shosse built in 1938-39. With the inauguration of this line Nagatino dormitory got a reliable link with Moscow. In addition to commuter service this line also featured high levels of freight transportation from sand-pits and river piers. The sand from Nagatino had played a major role during the World War II, when it was used in construction of field fortifications (I hope you remember that the Nazy troops were stopped in 1941 in a few kilometers from the Kremlin, almost in the city), in putting out fires caused by fire-bombs; and were it not for Nagatino line and freight it transported, Moscow could suffer greater war damages. 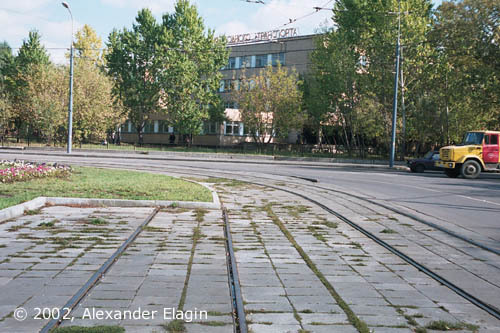 After the war, the share of freight conveyed by trams decreased, the branches to piers and pits were abandoned and lifted; now this former industrial suburb is just another residential zone of Moscow. An overview of the terminus. 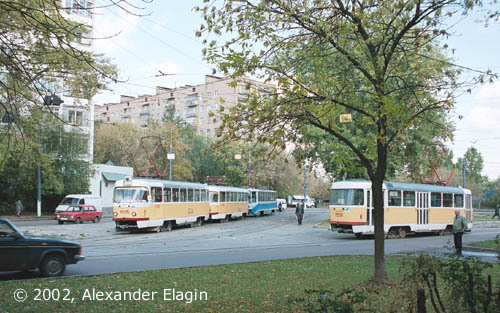 The vehicles in the left branch of the loop are ready to depart, while a Tatra in the right part of the photo is just arriving to its final destination. In addition to a typical set of two tracks, this loop also features a stub. 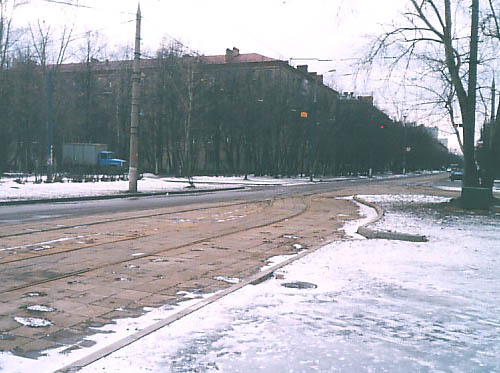 Stubs are seldom seen among Moscow tram track configurations because there are now double-ended trams here for many decades. This stub is also a reserve track, it even does not have an overhead above it. Another view of the same stub. As you can see, it does not even have a bumper. A building in the distance belongs to the Academy of water transportation. The main line branches to form two tracks of the terminus. 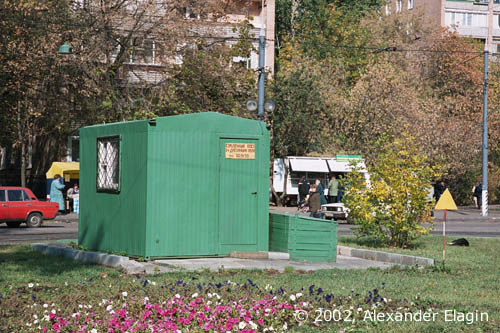 This small shed is a pointsman's box, with a sand chest and other required equipment. A lawn in the middle of the loop is richly decorated with flowers; there are more and more flowers in Moscow with years, and it is really a pleasure. This terminus among many others is equipped with a light signalling system. 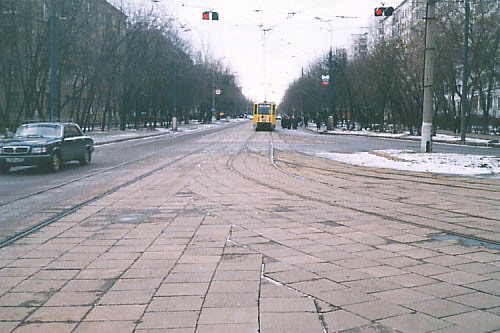 A long straight Sudostroitelnaya Street leads back to Kolomenskaya metro station.